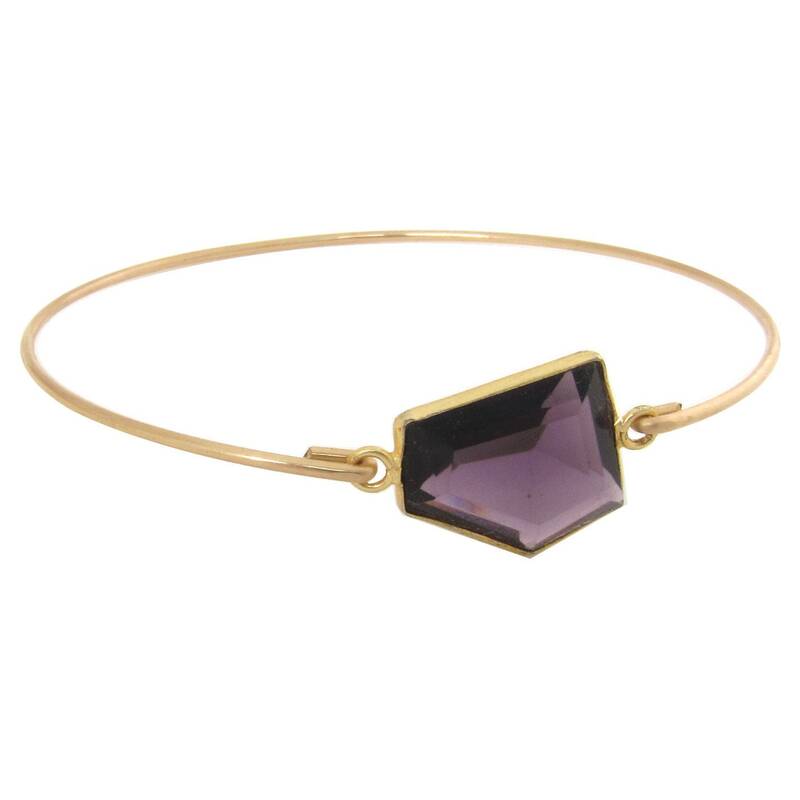 A beautiful large deep purple Amethyst genuine gemstone has been transformed into a February birthstone bracelet with a 14k gold filled bangle band. 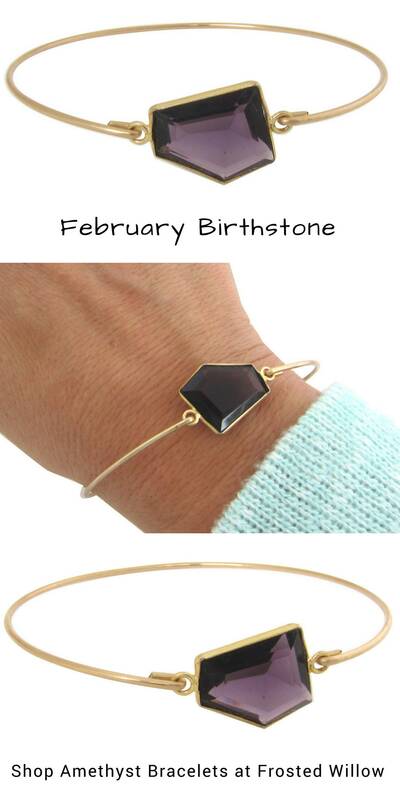 This Amethyst Birthstone Bracelet is the perfect gift for February birthdays and looks great together with others from my collection as you can see from the second to last picture. Have fun stacking them in 2, 3, 4 or more for the ultimate layered look! If you can measure with a flexible tape, that's great. If not, don't worry my size chart is easy to choose from below. HOW TO MEASURE: If measuring, find circumference of widest part of hand while reaching thumb toward pinkie to make hand narrow. 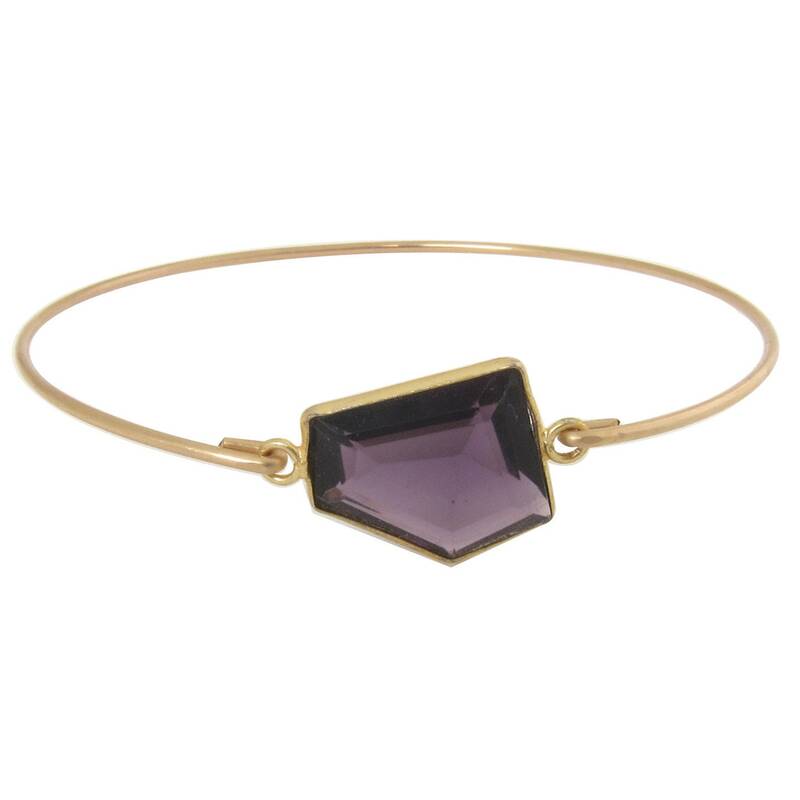 Measure in this position since bangle bracelet slides on over hand. 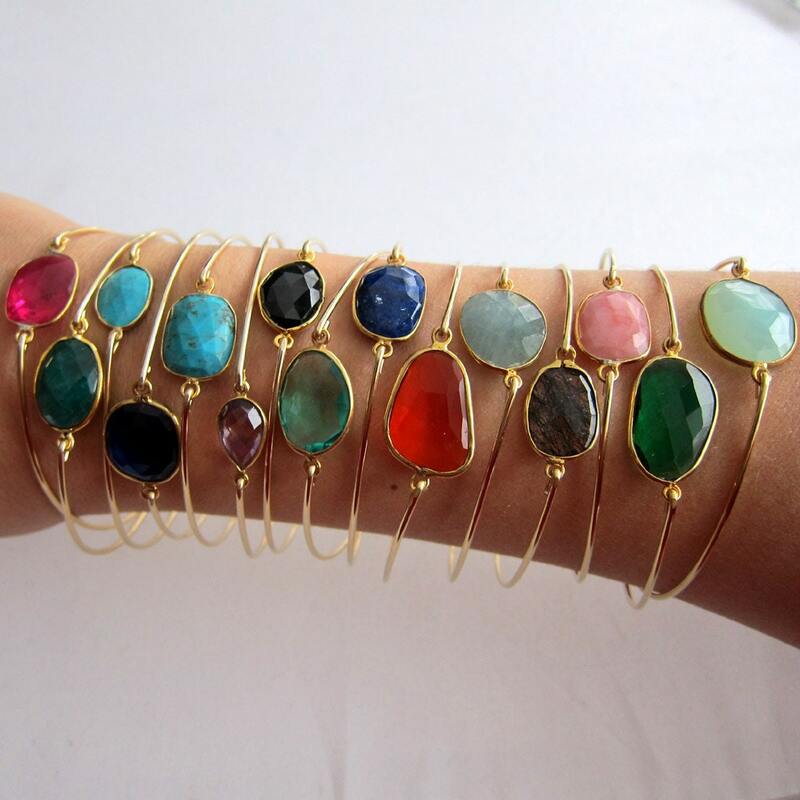 All of my bangles are clasp-free, slide on over the hand for easy on, easy off. See photo. I have 2 size charts below for "adult hand circumference" for slide on bangles. Skip to the "in between size chart" further down if caught between sizes, or you are unable to measure for a gift and "guessing" between sizes. Custom size: specify custom size if you want a size not displayed above (no extra charge). 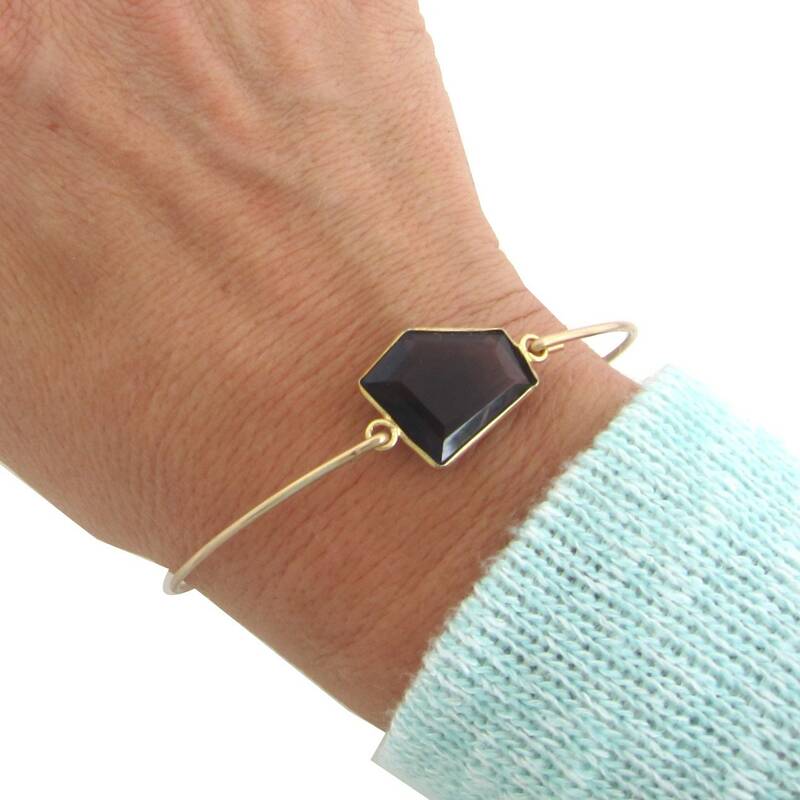 As mentioned above, If bracelet is a gift and measurement cannot be taken, use the guidelines describing sizes to make your best guess on size. These guidelines are very helpful. And I can always resize in the future if needed. But with the above sizes I'm confident it will be fine. If needed I provide resizing without any resizing fee. The recipient of a gift can send it back to me too. I make it easy for my customers to get the right size.